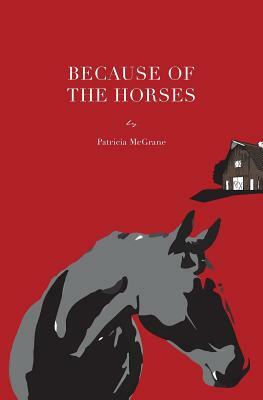 Because Of The Horses, is a complex family story set in 1863 East Tennessee, a uniquely different and independently minded part of the state. Many local citizens still fiercely support the Union despite the rest of the state having voted to secede and join the Confederacy. Some families are active in the remnants of the abolitionist movement and the Underground Railroad. Other families are staunch supporters of the Confederacy and the formation of a new country. With both Confederate and Union troops in the area, families and neighbors are painfully divided as uneasy, explosive situations complicate daily living, resulting in suspicion and fear. Most of all no one wants anyone telling them what to think or do. The story follows the Marsh family as they secretly collaborate with the Union army in a dangerous horse trading arrangement within Confederate occupied territory. Swirling around them is a conflicting mixture of soldiers, freed and runaway slaves, murderers, thieves, historical figures, and regular folk. Mysterious attacks, clandestine meetings, approaching battles, plunder and pillaging, love, and death frame their days. The Marshes draw you into their personal story of "This is how it felt," to be a small part of society and events separate from, but inevitably tangled in the much bigger social upheaval of the Civil War.